19 Palestinians protesters were injured Sunday night, in violent confrontations with Israeli soldiers along Gaza’s eastern border, in Jabalia. Israeli occupation forces opened fire, launching tear gas, stun grenades and light bombs towards Palestinian youth protesting along the border. The spokesperson of Gaza Health Ministry, Ashraf Al-Qedra announced the injury of 19 Palestinians. Israeli army claimed, according to Al Ray, that one of their soldiers was moderately injured by an explosive device thrown at him, and was evacuated to a hospital to receive further medical care. Israeli media sources reported that settlers near the border heard the sound of explosions. 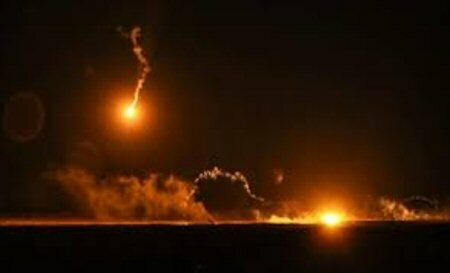 The army said it had attacked two Hamas posts in the Strip, in retaliation. Such protests have somewhat decreased, over several weeks, as reports on Israeli-Palestinian talks to quell tensions emerged, but recurred when it became clear that Israel had shirked from the agreement that was reached. Palestinian youth light dozens of rubber tires on fire as a form of protest against the nearly 12-year siege imposed by Israel. They also play revolutionary songs and sirens through loudspeakers.